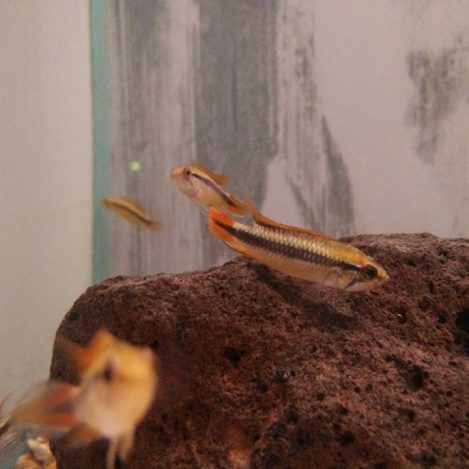 Apistogramma cichlids are a dwarf cichlid they only grow up to 6-7 cm fully grown. They like a PH more acidic but can live in the PH range of 6.5-7.5. And temperatures of 25-28 celcius. 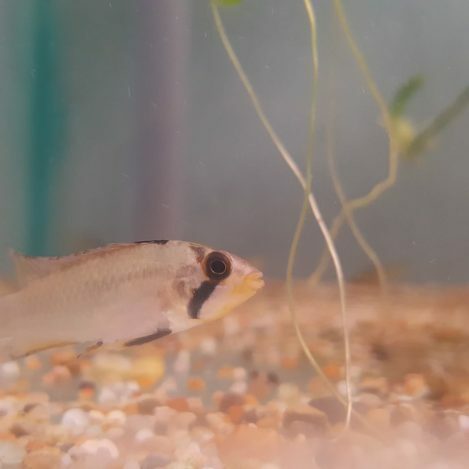 The Apistogramma cichlids fish been a dwarf cichlid is not as aggressive as other cichlids. 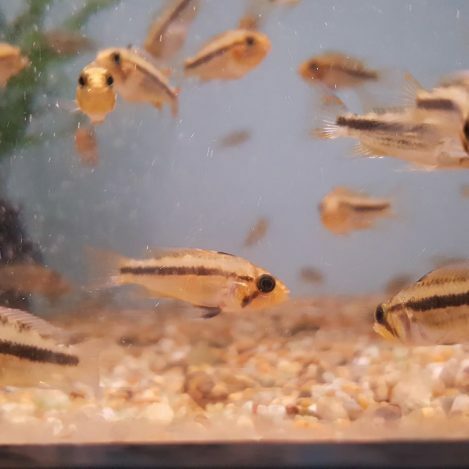 They can mix well in community tanks but we would recommend maybe not with small neons or guppy as they can some times nip at there fins. They are best kept in small groups, as on there own they can be very shy. 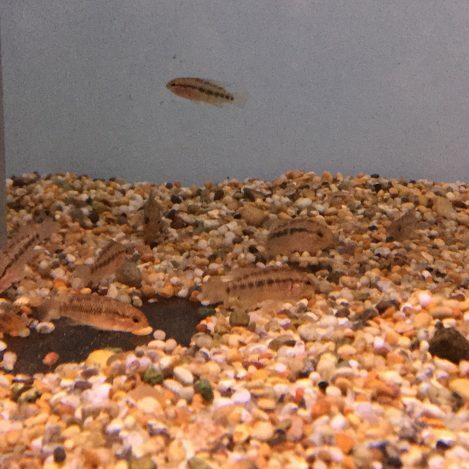 There are a few different Apistogramma cichlids, check out our full fish list page to see what we have in. 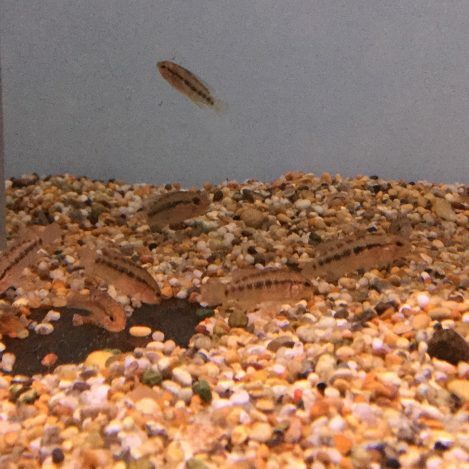 As these are a shy fish you do have to make sure they are getting there food. They will eat most foods you put in for them sinking or floating. But they will require some frozen or live foods in there diet.